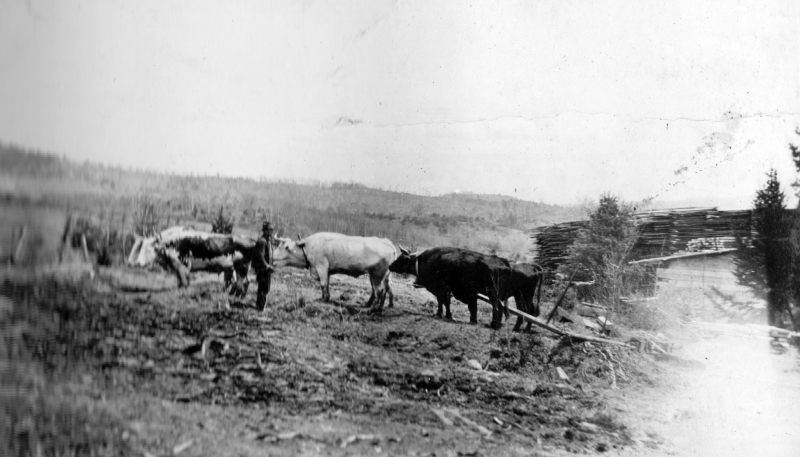 This is a black and white photo of six oxen in a field of wood and grass. There is a large pile of wood to the right of the photo and a few small trees. The field looks like it is covered in grass. There is a man in the photo named Dan Fulford and he is standing right next to his oxen. The oxen are right near lumber and sawmill piles.